If you are familiar with the MOXA brand then you know that it stands for high quality and reliability. 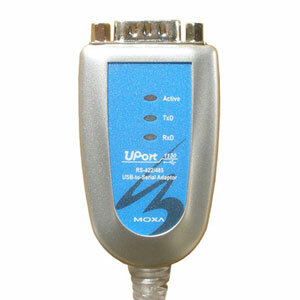 This is why we recommend the MOXA UPort 1130 USB to RS485 / RS422 converter as a top of the line product which can be used for almost any serial application where reliability and performance is critical. The price is higher than other converters of this type but the extra cost is well worth it if you want the best. This USB to RS485 / RS422 converter is ideal for most applications and environments such as office, laboratory, server rooms and light commercial environments, however we do not recommend this converter for industrial factory environments since it does not have optical isolation. For factory automation and related environments we recommend the UPort 1050I which has full optical isolation to protect the converter and your equipment against voltage spikes. The UPort 1130 does however have up to 15KV electro static protection to protect against static electricity. 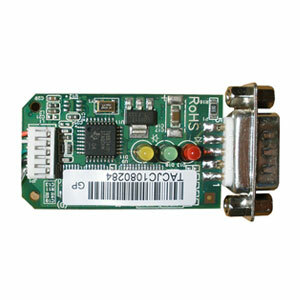 Drivers for this USB to RS485 / RS422 converter is available for most versions of Windows including Windows 8 and the latest Windows Server version. Linux and Android drivers are also available. Once the drivers has been installed and the converter is connected to your computer's USB port, a virtual COM port will be created in the operating system. This virtual COM port can be accessed via Device Manager almost as if it was a built-in serial port. 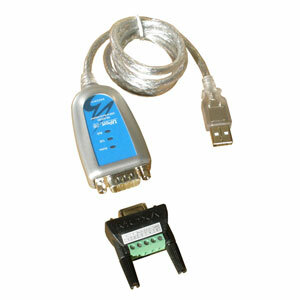 Several port settings such as baud rate and data bits can be changed via Device Manager. Most converters of this type only supports 2-wire RS485 and RS422, however a nice feature this converter has is that it supports both 2-wire RS485 and 4-wire RS485, in addition to RS422 signaling. The UPort 1110 also has an extensive number of regulatory approvals and certifications such as EMC (CE, FCC), EMI, EMS and RoHS approvals. Please see the datasheet for details.